Cedar log sided home with an excellent view! This beautiful home has everything you need on one level! The open floor living area ensures that where ever you are you can gaze upon the beautiful sunsets and sunrises. Soaring ceilings let the light bounce through. Two private screened in porches, one off the master bedroom with en suite bathroom. Two bedrooms are on the other side of the house, one of which has access to one of the screened in porches and also the deck. Downstairs in the full basement, there's room for a game room or extra sleeping spaces, a bathroom, and it's own covered deck. 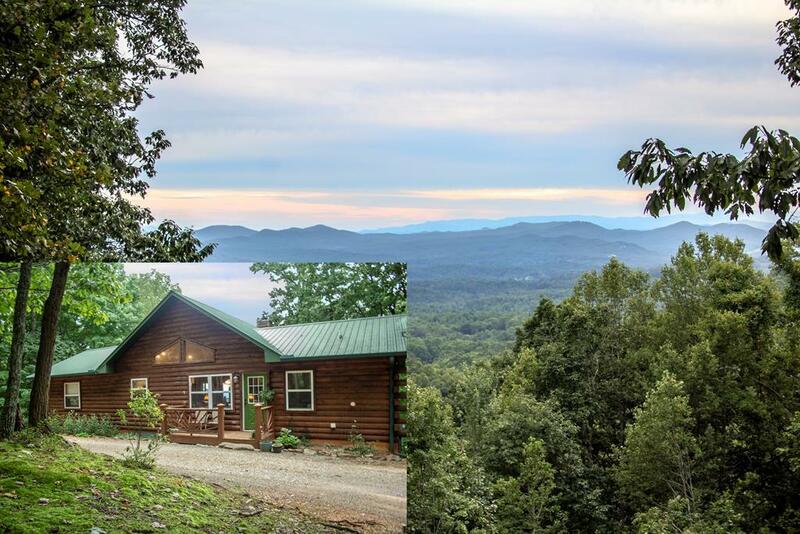 Views from every level of this beautiful mountain cabin!It's time to come home to the mountains.